Kojima Wants Someone To Remake Metal Gear Solid, But That's All. There was a rumour earlier this week that Metal Gear creator Hideo Kojima was trying to sign up a developer to handle a remake of Metal Gear Solid using Konami's new Fox Engine. It's not true, though there are the very best intentions behind it. There's a rumor about remaking MGS1+2, but that's not ture. It has been modified in the thread or something. He was addressing this article, from Swedish site Gamereactor, which reported (via an E3 roundtable) that Kojima "was actually in the process of searching out a studio he could task with adapting the first game to the Fox Engine". Later, however, having gone through the audio recordings of the roundtable discussion the quote supposedly originated from, he learned there'd been a mistranslation on the part of Konami's staff. I answered "You (the journalist) wanted me to do MGS2 on Fox Engine but I cannot do. 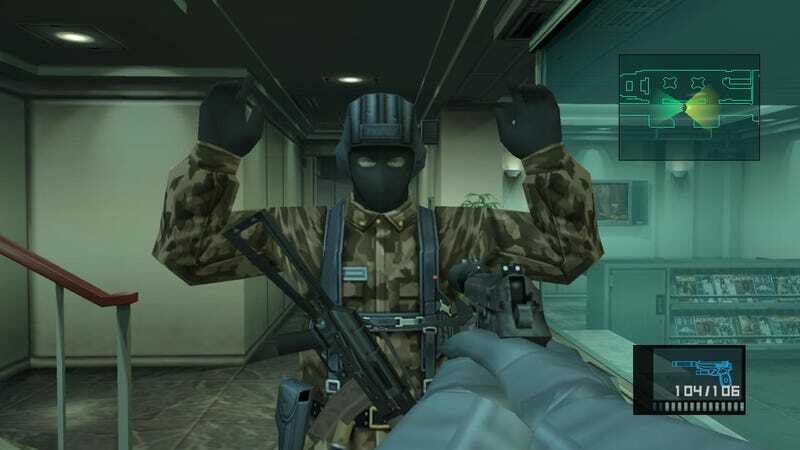 I wish if only someone could make MGS1 on Fox Engine." However, Chris mistranlated as "Personally he would like have MGS1 on Fox Engine, so he try to find someone right now to do that." NOOOOO!!! Ah. So, case closed! For what it's worth, he really would love it if someone could remake the game. So if you've got a dream developer who's, you know, just sitting around, nothing to do, email them and see if they'll help out. Maybe not Silicon Knights though. One Metal Gear remake is enough for one studio, thanks very much. Well, if there's some creator or team in this world who has love and passion to remake "MGS1", I would love to ask for it.